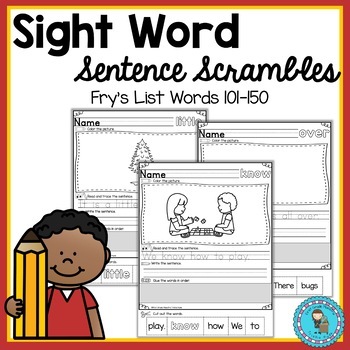 Your students will enjoy learning sight words with these Fry's List sentence scrambles. 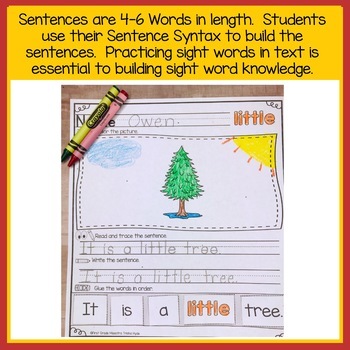 Sight words are effectively learned when connected to text. 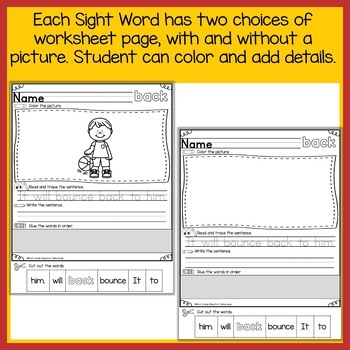 These sight word sentences will have students read, write, and identify sight words in sentences. 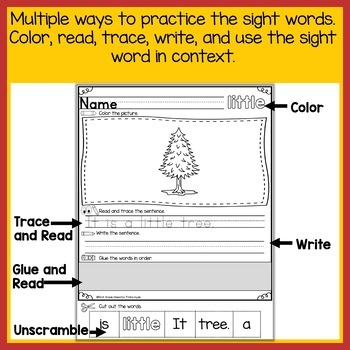 Students will color, trace, write, read, and use sight words in context. Words 101-150 Fry's List words are included in this product. Click here to follow my store.